I often hear designers mention having an element of surprise in their designs. Well this home offers just that. 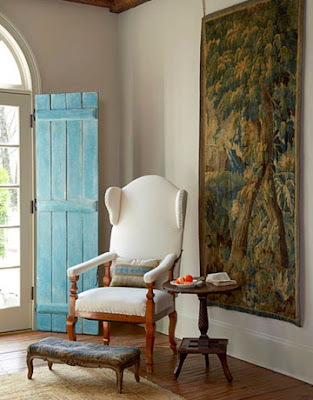 While browsing a gallery of images over at House Beautiful, these beautiful blue shutters caught my eye. It's one of those design risks that could be disastrous, but results in completely rewarding. 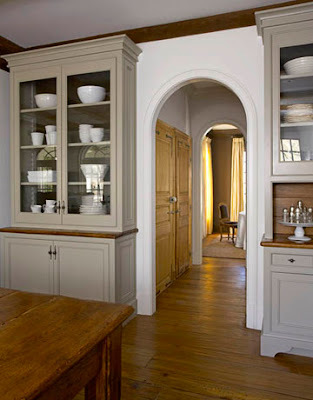 Designed by Barbara Westbrook and Kim Winkler, this updated rustic home is a mix of Belgian, antique and a modern open concept. Iron, Wood and Linens, combined with captivating distressed blue shutters make this home energizing. 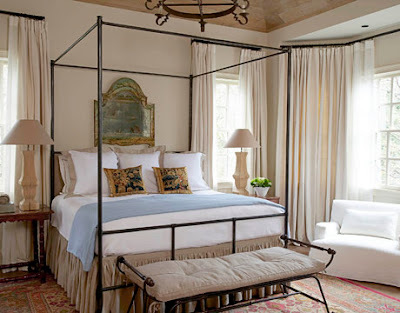 A simple wrought iron Canopy bed and iron bench, add to the rustic spa beauty of the bedrom. The dining table measures 7' x 5', and is double duty work surface and dinner table. 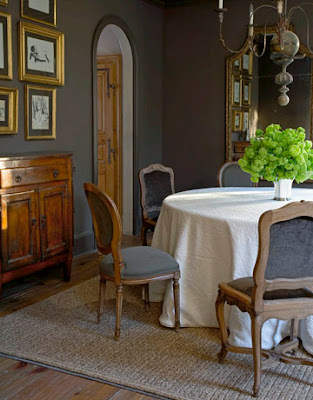 And in the dining room, a dark smokey gray that feels very refreshing complimented with lovely white linens. 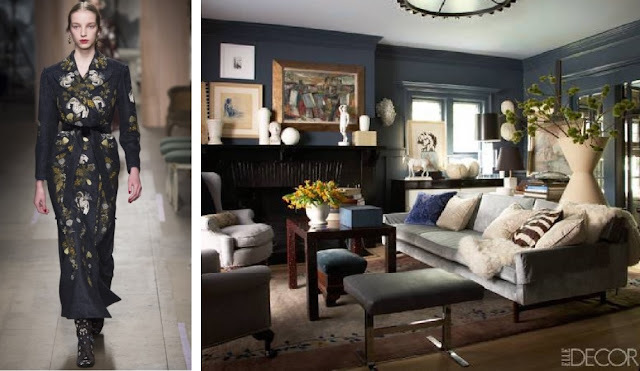 And perhaps, what is most interesting is that this incredible home can be found in Atlanta.